You’re probably a murderer. I know I am. A murderer of songs, that is. We’ve all done it, even the great songwriters. These were songs that could have been great. They had potential. But, alas, they passed away before their time. It’s a sad reality, but it is a reality. Songwriters (including me) often kill a song that has a good chance of being great. They kill it by making some pretty common songwriting mistakes. So, if you want to write a bad song that doesn’t engage the listener or evoke a strong emotion, do these four things. People say there’s one way to bury an amazing blog post: Give it a boring title. So it is with a song. With the number of songs out there, your title needs to jump out. If you write a song called “Stay,” “Baby,” or “Angel,” you’ll be using one of the most common titles ever. It’ll just blend right in with every other song. Plus, if you come up with a great song title first, that can drive you to write a much more creative song overall. 2. Make the chorus "meh"
Contrast is a powerful tool in songwriting. One that can help you avoid a "meh" chorus. If you have a verse melody that’s in your lower register, take it up in the chorus. If the verse phrasing is quick and punchy, make the chorus phrasing longer and more open. You can even go from a verse with a minor chord progression to a chorus with a major chord progression. There’s a lot you can do to make your chorus stand out. But one thing is for sure: If you want to kill a song, write a boring chorus that’s not much different from the verse. Long songs aren’t automatically bad songs. In fact, there are some really good long songs. Some good long songs include “I Heard It Through the Grapevine” by Creedence Clearwater Revival (almost 11 minutes long), “Visions of Johanna” by Bob Dylan (about seven and a half minutes long), or “American Pie” by Don McLean (about eight and a half minutes long). But, boy, it’s hard to write a long song that’s also really good. Most songwriters, especially beginners, run out of things to say by the second verse. Second verses are second thoughts, in many cases. They’re full of lyrics that are more placeholders than song shapers. Short songs are a lot easier to make great. Just look at the last half of Abbey Road by the Beatles, or “Fell In Love With A Girl” by the White Stripes (under two minutes), or “Mercedes Benz” by Janis Joplin (under two minutes). Wouldn’t it better to write a great short song than an okay long song? People will probably re-listen to the great short song a lot more. Something a lot of songwriters do is lose the focus of their song halfway through, usually by the second verse. Like I mentioned a bit ago, a lot of songwriters have said everything they wanted to say by the first verse and chorus. So, when they get to the second verse, they’re desperate for images and lyrics. And if you lose the listener — if you lose touch with the emotion, the theme, the story — the song dies. 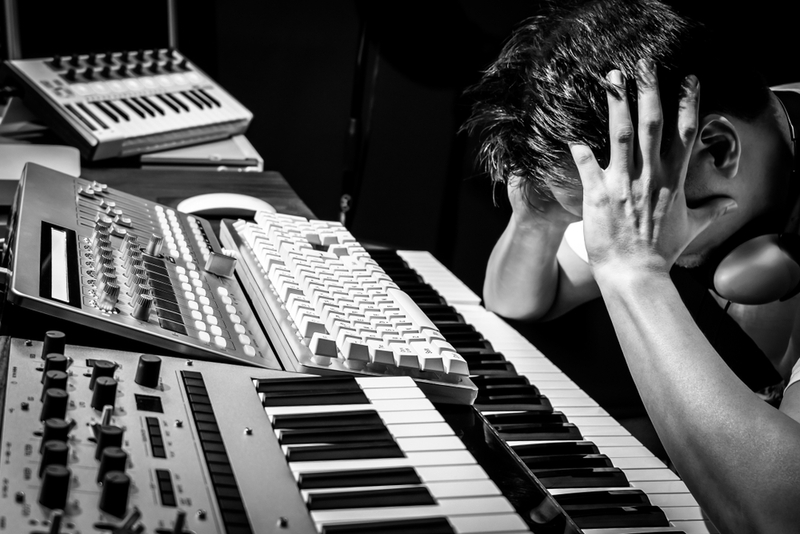 Outlining your song can help you avoid this. Also, returning to your chorus and reminding yourself of the song’s direction, its compass. Because if your song loses focus, you’ll lose the song.